Remember you are voting OUT your favourite! Do not vote for your favourite costume! 23 shot the fez | shoot the fez! 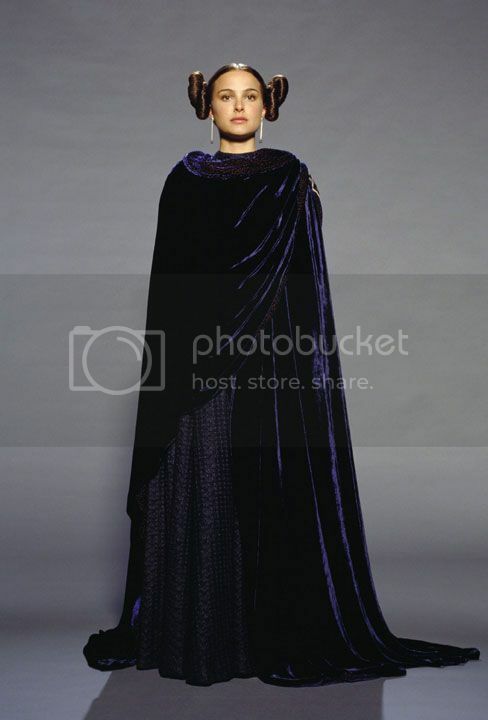 This was harder...they look pretty similar and neither is one of my more favorite Padme costumes. I can't wait for the goodies to start. Then it gets hard. I really dislike both of these gowns, actually. I think they're unflattering and unattractive. Sure! They can be found in my archives, though not in my memories. - both my 2 top favorite Eowyn gowns made the top 2! Lol! That's pretty cool that you won out with the Eowyn gowns. I remember being so shocked that the Blood Red didn't make it to the finals - I had thought it would be a showdown between that and the Chase dress. 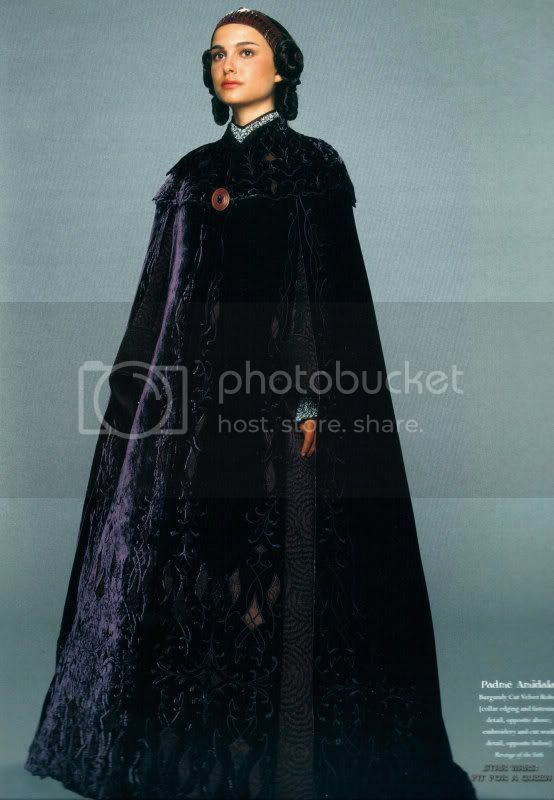 I was pretty surprised about the Coronation gown too - I discovered it was a lot less popular than I'd thought! This one wasn't so hard for me. I don't particular fancy any of them, although I like the needlework in the Burgendy Velvet gown. lol, I don't think either of these are very popular! Because they're both so ghastly? *Shakes head and laughs* Some of her costumes are beautiful, some horrific. Voted out the top one. It looks ... It looks like Padme has something large and unpleasant caught between her legs, except the expression of pain is in her dress not her body. Lol, that was what I thought to! Definitely a tough choice, this one. But I'm enjoying this contest so far! They're both very similar, so I bet we are going to vote out the worse hairstyle. :D Though I do like the draping clothes in the second one. Everyone's having a hard time with this one! And the score is even..